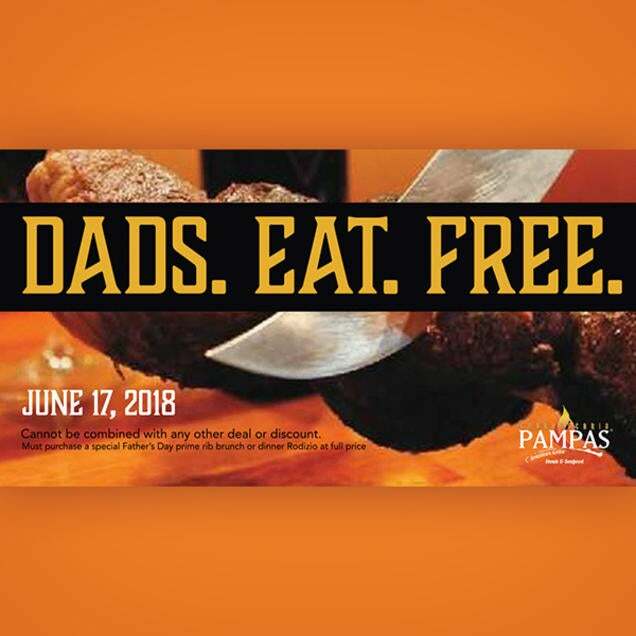 Dads eat free on Father's Day, June 17, 2018. Special menu featuring prime rib. Must purchase a special Father's Day prime rib brunch or dinner Rodizio at full price. Brunch served until 4 p.m. Brunch: $34.95 & Dinner: $39.95 for non-dads. Cannot be combined with any other deal or discount.